Airbus Helicopters has confirmed production of its five-seat H120 Colibri (nee EC120B) light-single helicopter has ceased after orders for the type stagnated, contributed largely by cheaper North American single turbine offerings now available in the category. Airbus said its 22-year production of the H120 officially ended in September with the delivery of its final H120 on order. “We remain fully committed to support our customers and the global fleet of over 700 H120s with the same level of service worldwide – including spares, repairs, technical manuals and training,” an Airbus Helicopters said in a statement to Australian Aviation. 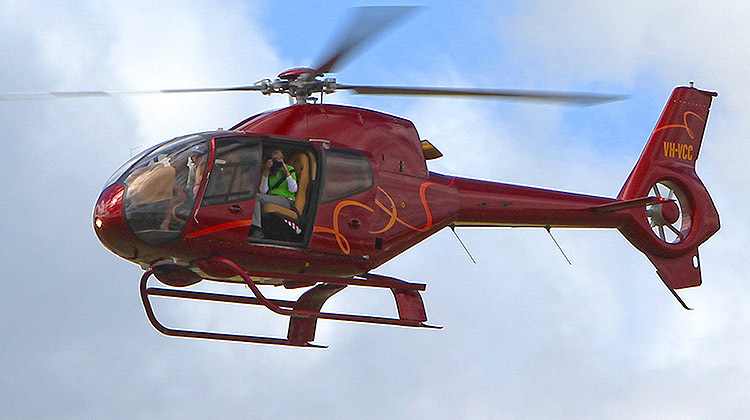 Costing about US$2 million new, the H120 has faced stiff competition in recent years from Robinson Helicopter’s five-seat R66 turbine and Bell Helicopter’s new five-seat 505 Jet Ranger X, both of which sell for approximately half the asking price of a H120. In 2016, Airbus Helicopters delivered just five H120s, compared to 63 R66s by Robinson. Making its first flight on June 9 1995, the first EC120B was delivered in 1998 and was assembled alongside H125s and H130s at Airbus Helicopters’ factory in Marignane, France. Powered by a Safran Helicopter Engine’s Arrius 2F, the H120 is flown by around 400 civil and military operators globally. There are currently 28 EC120Bs on the Australian civil register. I was surprised to read the H120 (EC120B) costs about twice that of the Robinson R66 or Jet Ranger X (not that I am in the market for any of them!). If that is the case, then how is Airbus Helicopters better able to compete against Bell, Leonardo and the like in the larger end of the helicopter market?